One of my favorites. Also known as the Sweetheart Plant, this is the most popular of the philodendrons because this one stays small and it is so easygoing. It's drought-tolerant. I don't recommend letting it go too long without a drink, but it will recover nicely. Put this one in a bright location and it will reward you with carefree beauty. The Dragon Tree doesn't like its feet wet, so I recommend good drainage. Jade Plant gets more beautiful with age. Tolerates room temperatures year-round. A succulent foliage plant, it's happy with indirect sun and little water. You knew this one would make the list, didn't you? Because of its ability to store water and nutrients, a cactus seldom needs watering. Loves to bask in the sun. Tip: Cacti look great together in a sunny window. Often mistaken for a palm (it looks like one, hence the name), this plant is actually a succulent more closely related to the yucca. Its swollen base stores water, so occasional lack of water will do no harm. It is slow-growing so buy one already the size you want. If all else fails, grow Sansevieria. It thrives in full sun or partial shade. Prefers dry air and soil. Rarely needs repotting. Ideal for beginners, but seasoned gardeners also love this accent plant's dramatic, sword-shaped leaves. This vigorous plant is well known for its long, trailing stems that can grow to 8 feet or more. Cut them back a couple times a year to keep the plant bushy and full. Pothos is forgiving if you forget to water it once in a while, but it doesn't like waterlogged soil. ZZ Plant makes a great room accent and practically thrives on neglect. 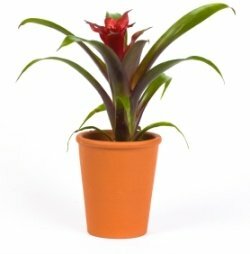 This easy-going house plant is forgiving if you forget to water, tolerates low light, and rarely needs fertilized. I highly recommend adding it to your collection. An impressive plant for beginners. 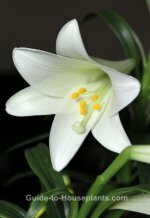 The stems produce little white flowers, then are soon weighted down with plantlets. Prefers bright, indirect light. A dependable plant. Beautiful and low maintenance. Glistening purple and green leaves make this one a stunner. Fast-growing stems can reach 3 feet, so pinch often to keep it from getting leggy. Likes moist soil. Need more space for your house plants? Indoor plant stands may be just the solution. Take a look at these new ways to display your indoor plants.